If you have a special event in the near future, and you’re wondering how you are going to feed all those people, we have the answer for you. Our portable kitchen rentals in Wayne, NJ are the solution. Our state-of-the-art, fully equipped mobile kitchens are available in a selection of sizes (including our 53-foot mobile kitchen) and may be custom built to suit your individual needs. At Affordable Mobile Kitchen Rentals, we also supply budget-sensitive portable kitchens for rent or sale. 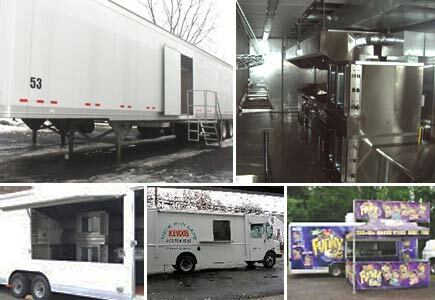 Our fleet of mobile commercial kitchens is designed for cost-effective transportation anytime, anywhere. We offer weekly and monthly rates, as well as short and long-term leasing. As you can see, we’ve covered almost everything that you would require to make your event a hit. Our goal is to provide you with quality products and services so that you can easily succeed. Grilling some burgers, hot dogs, or steaks for friends and family is enjoyable. But what happens when you have more than a few people to feed? Whether you are planning a large private party, a corporate event, or something much bigger, we have you covered so you can get cooking! Our commercial kitchen trailers come in many sizes to meet your needs and they are equipped with everything you need to deliver tasty meals to your guests. 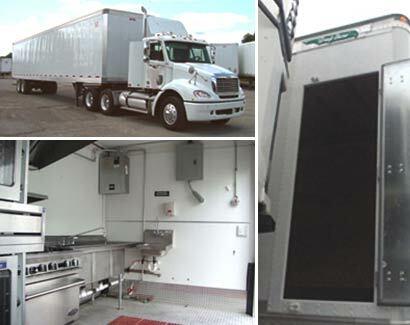 Instead of worrying about how to feed a large group of people, depend on Affordable Mobile Kitchen Rentals. Just bring the food, cookware, and serving pieces, and we’ll supply everything else. Having more than 20 years of experience in the industry, we know what our clients want and how to deliver our kitchens on time. You can always expect fully operational equipment, friendly service, and affordable rates when you depend on us. From event catering and corporate parties to disaster relief and construction projects, we offer our portable kitchen trailers for anyone in need of a fast, convenient way to cook meals for a large group. If you’d like to know more, reach out to us to schedule a consultation and quote. Contact us for more information about our various portable kitchens for rent. We proudly serve clients in Wayne, NJ, and the surrounding areas.